How Can You Improve The Credit Score of a Business? If you are starting out in business then there is no doubt that you will be spending your days thinking about the business and how you can help it to grow, as well as the best ways to market your products or promote what your business has to offer. With all of that being said, though, the credit rating that your business has will play a large role in how much soon you may be able to get the business up and running. Because even if you’re working out of your home at the moment, a time will come when you may need an injection of cash to get your business going and to help make it bigger and better. How well and how much credit you will get approved for does depend massively on your credit rating as a business. But if you are looking for unsecured business loans, then your personal credit rating may be taken into account. Simply because it shows how well you can borrow and then pay back money. And if it isn’t secured against something like property, then the lender wants to know that you are reliable to pay the money back. But if you’re looking to improve the credit rating for your business, then there are many reason why it’s a good thing. But here are some of the ways that you can work to improving your credit rating. If you want to start towards a good credit rating, then make sure all bills for the business are paid on time. If you miss payments, then it can mark you down, and even lead to you having to pay late fees. It can help you to stay in the black, as well as improve the reputation of your business among lenders. Many business owners don’t always know what the credit score of their business is. So checking what it is on a regular basis can be a really good way to keep on track of it. You can correct anything on the report that is incorrect, as well as monitor it to see if it is improving. So it is something that should be checked pretty regularly. In order to build up any kind of credit rating, then you need to use credit. In short, you need to be able to demonstrate that you can borrow money and then pay it back on time, or at least meet the minimum requirements each month. 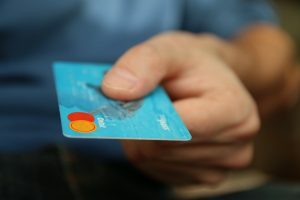 So even though you won’t be getting into any debt using only debit, you won’t be building up a credit score, which can be a good thing for your business to have. It doesn’t have to be a lot, but using it for a few things from time to time, that are then paid off, can be a good way to go. Have you been checking the credit score of your business? It would be interesting to hear what you think. Is it Ever a Good Idea to Build Your Own Business Website?